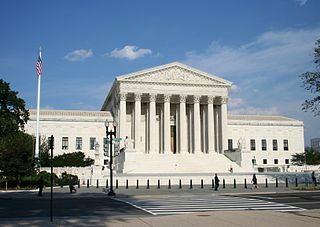 The US supreme court recently struck a blow to biological and pharmaceutical industries. They shot down a patent (and probably several others that use similar technology) on measuring a metabolite as a diagnostic procedure. In other words, even if someone came up with the idea to measure a particular naturally generated substance as a way to diagnose an illness or dose a medication, it’s not patentable. It makes sense why this would be problematic in medicine, a field that is facing rising costs. If tests require patents to be administered, this significantly increases the cost and means that many people who need the test for diagnosis will either face rising insurance costs or may not be able to get the tests at all. I can’t help but think there are many similar patents in engineering that might die if the same criteria were applied. If patents “add nothing to the laws of physics” or maybe even are an obvious extension of those laws, how many of them would be thrown out? I know that in my examination of several patents, some of them have struck me as quite obvious or absurd. And the discussion of copyright covering software code seems to fall along those same lines. What do you think of the ruling? Should the ruling stand and perhaps be extended or do you think it’s bad judgement? I believe that “ways to measure metabolites” are still quite patentable. What is not patentable is the concept of measuring a particular metabolite as a diagnostic test. I believe that this is a step in the right direction for patentability. Engineering should be patentable, but science should not. A specific way should be patentable. All ways of possibly measuring it should not be. Same with any other patent field.